You are never too young to start doing yoga (or too old, for that matter!). 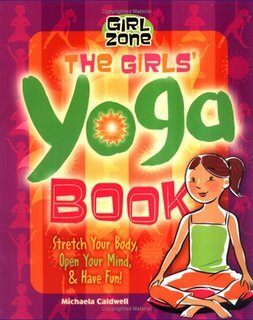 I wish I had started when I was a kid so that I'd be more supple and flexible in my adulthood, so I'm happy to have been a part of a great book for 'tween girls called The Girls' Yoga Book by Maple Tree Press. The talented yoga instructor and author Michaela Caldwell wrote this engaging primer that beautifully describes the philosophies of yoga, and guides readers through very do-able postures. 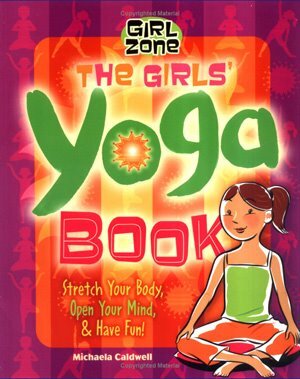 My contribution was illustrating, art directing and designing the book, which is part of a wonderful and unique collection of books for 'tween girls called the Girl Zone series, by the same publisher. So take a peek and buy it for yourself or a young girl in your life! This has lead me to my personal fascination with knowledge of self and the universe we inhabit. I share my experiences, opinions, and information I have come across with the world.